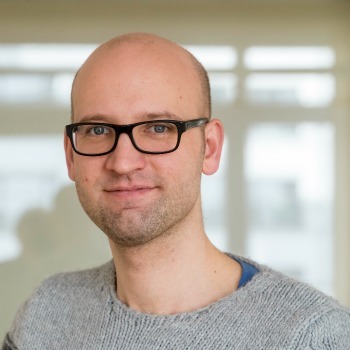 Tomas de Groote works at the Social Innovation Factory, a multi-stakeholders network in Belgium that helps innovative organizations and entrepreneurs to develop breakthroughs resulting from new services, products, organizational models or concepts. They support partnerships between civil and corporate sector and help them reach the market, society or funding. Tomas is coordinator of a two year-long practice-oriented reseach programme about impact measurement and assessment. “Inspired by good practices and desk research, we support 20 coaches and 20 businesses/organisations in their efforts to realize impact assessment. We help them to implement their findings on impact in their (operational & strategic) management.” The objective of the research: to deliver a road map for any type of business/organisation that wants to assess their impact to improve their mission/value proposal/core business/project… and also to see if it is possible to have indicator sets that cover the possible range of social impact for a broad range of organisations/businesses. This research is funded by the Flemish government agency for Innovation by Science and Technology. That organizations are willing to jump into the adventure of impact assessment and evaluation, that they find their way in impact-land, that evaluative thinking is infused in the organizational culture, that shared understanding is enhanced through the process so that their services, products… have impact. By the end of 2016, we will have a road map for impact evaluation for any kind of organization/sector, so they can dispose of a tailor-made impact-dashboard, based on a utilization-focused evaluation and a set of indicators that is relevant for their daily work/business.